KEARNEY – Tim Burkink didn’t travel outside the United States until he was almost 30 years old. Then an assistant professor at Arizona State University, he and a colleague went to Europe to study food marketing systems in the post-war Balkans region. He saw similar benefits when his son David was part of a study abroad program while attending the University of Nebraska at Kearney. David studied in the Czech Republic and was able to visit several other European countries during the trip. Burkink said the opportunity expanded his son’s horizons, allowing him to meet new people, experience different cultures and learn about another part of the world. 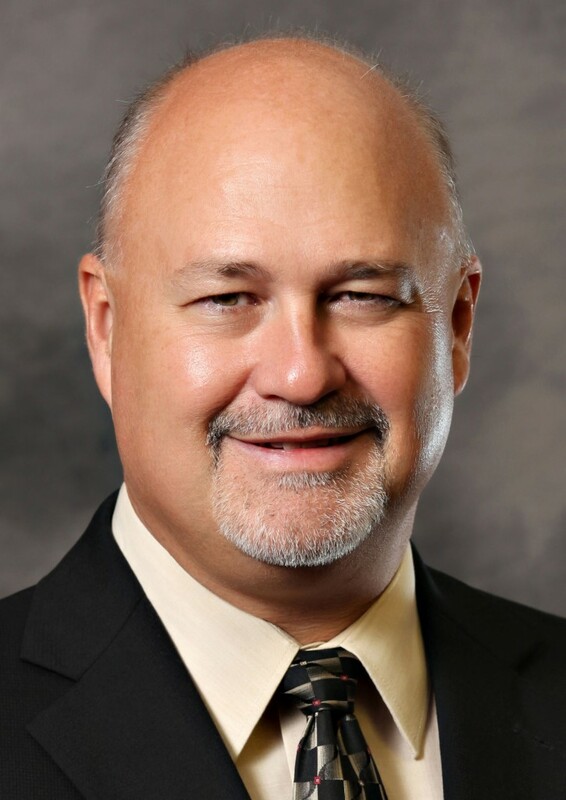 The longtime dean of UNK’s College of Business and Technology will focus on that aspect of higher education through his new role with the university. Burkink, in his 18th year at UNK and 11th as dean, is transitioning from the College of Business and Technology to a full-time position with the Office of International Education, where he has served as interim director since October 2017. 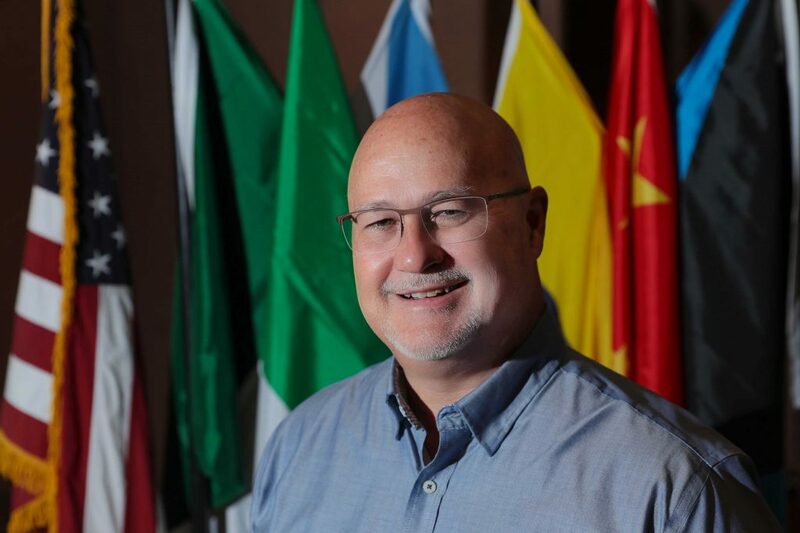 Charlie Bicak, senior vice chancellor for academic and student affairs, called Burkink an excellence choice to lead the Office of International Education, citing his global travel experience, academic credentials, sound administrative leadership and genuine passion for the position. Burkink, who will serve as director of the Office of International Education beginning in fall 2019, has a pretty straightforward mission for the office. “We want to maximize the number of UNK students studying abroad and we want to maximize the number of international students who come to UNK to study,” he said. The University of Nebraska-Lincoln alumnus was “pleasantly surprised” by the number of international students attending UNK when he arrived in 2001. “The impact international students make on our campus and our community is significant,” he said. These students, who currently represent 51 different countries and 7 percent of UNK’s total enrollment, enrich life here by introducing their cultures and customs to central Nebraska, according to Burkink. There’s also an economic benefit, according to NAFSA: Association of International Educators, which estimates international education at UNK contributes nearly $10 million to the Nebraska economy and supports 48 jobs. Burkink’s goal is to grow the international student population to at least 10 percent of UNK’s total enrollment, a figure he hopes to reach by promoting the quality education, supportive environment and unique landscape offered here. UNK offers a number of opportunities for students to study abroad, including programs in the Czech Republic, Ireland, Italy, Spain and, beginning next summer, Australia. Additionally, agreements with schools across the globe allow Lopers to study internationally as exchange or visiting students. “I know there’s value for our students to include this as part of their academic programs,” said Burkink, who would like to see at least 25 percent of UNK students study abroad. These experiences help develop a global mindset, he said, and should impact students in meaningful ways. Burkink plans to work with faculty to ensure students can take advantage of these opportunities while remaining on a four-year path to graduation. The Office of International Education has a “very dedicated” staff and supporters across campus, according to Burkink, much like the College of Business and Technology. Among the changes he helped implement are an experiential learning initiative that requires all undergraduate students to participate in an internship, outside-the-classroom project or research work and the launch of a career center that prepares students for employment. About 95 percent of business and technology students find a job in their field within three months of graduation or go on to pursue a master’s degree, according to Burkink, and a majority of those students start their careers in central or western Nebraska. “That’s something I’ve worked hard to achieve is making sure we’re making an impact in our region,” Burkink said. Other accomplishments during his time as dean include adding the supply chain management program and cyber security operations major, as well as forming the new cyber systems department. Burkink also helped plan the $30 million, 90,000-square-foot STEM building that’s expected to open about a year from now. He’ll continue serving the college as a part-time marketing professor while directing the Office of International Education. Education: Bachelor of Science, business administration, University of Nebraska-Lincoln, 1985; Master of Business Administration, marketing, UNL, 1993; doctorate, marketing, UNL, 1997. Professional experience: Adjunct instructor, Seward County Community College, 1989-91; Marketing instructor, UNL College of Business Administration, 1994-97; Assistant professor and graduate faculty member, Chadron State College Department of Business and Economics, 1997-98; Assistant marketing professor and faculty liaison, golf management programs, Arizona State University Morrison School of Agribusiness and Resource Management, 1998-2001; Assistant marketing professor, University of Nebraska at Kearney, 2001-03; Associate marketing professor, UNK, 2003-08; Associate dean, UNK College of Business and Technology, 2004-08; Acting dean, UNK College of Business and Technology, 2008-09; Marketing professor, UNK, 2008-present; Dean, UNK College of Business and Technology, 2009-present. More than 450 international students from 51 different countries are attending UNK this semester.